VKontakte users demand compensation for passing their personal data to police | Russian Legal Information Agency (RAPSI). 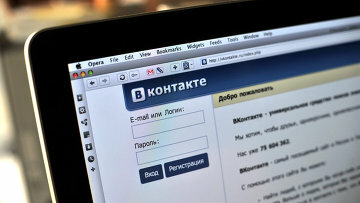 ST. PETERSBURG, April 1 (RAPSI, Mikhail Telekhov) – Four residents of Russia’s Tatarstan have filed a lawsuit demanding 100,000 rubles in compensation each from VKontakte social network for passing their personal data to police, RAPSI has learnt in the Smolninsky District Court of St. Petersburg. The court will hear the claim on April 23. According to the international advocacy group Agora, plaintiffs Andrey Boyarshinov, Elvira Dmitriyeva, Alexey Boyarov and Mikhail Tikhonov are members of Alexey Navalny’s team. In 2018, the social network passed the plaintiffs’ personal data including names, surnames, e-mail addresses, cell numbers, IP addresses of their social media pages to the republican Interior Ministry’ s anti-extremism department without their consent, Agora has said. Earlier, a similar lawsuit filed by another plaintiff was dismissed.